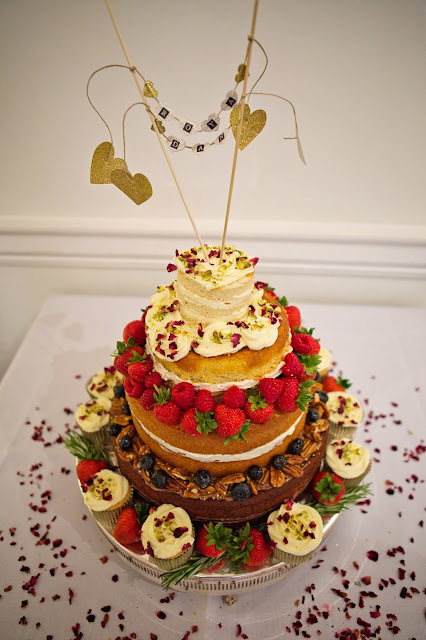 A birthday cake for a couple who love a good (lemon!) 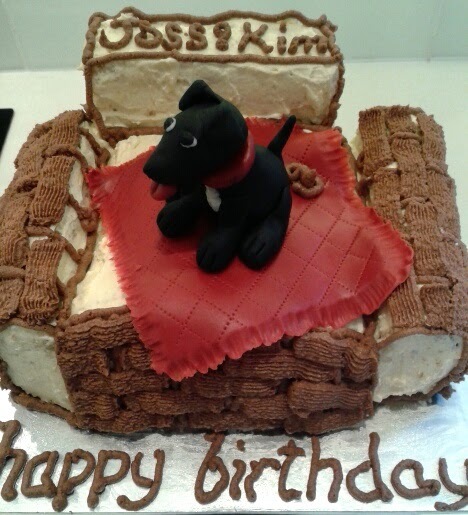 cake and have a gorgeous Patterdale terrier called Buffa. Buffa is the inspiration for this cake and you can follow his adventures on buffamom's blog. Buffadad is also a designer/antique chair enthusiast. Who knew there was such a thing...? Fondant Buffa on a rug. The lemon cake was a lemon drizzle recipe by Annie Bell from her Baking Bible. Lemon buttercream icing was used to hold it all together and the basket weave was made with a basket weave nozzle and chocolate ganache icing. The chair was (very) loosely based on this. Buffa and his rug are both sugarpaste, with help from this and this. The poop was also chocolate ganache! Buffadad was made to eat it! Happy Birthday BuffaMom and BuffaDad!